So, a mystery manga? That's good. 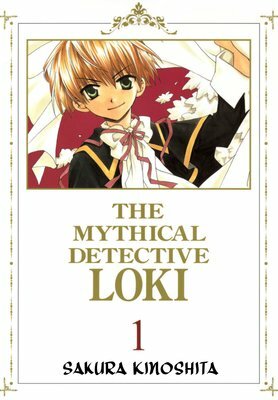 A mystery manga where the characters have roots from Norse Mythology? That's something worth reading.A rough rule of mysteries is that you should never have some curveball at the end of the case. All the clues should be there, even if the reader may not make the connection the first time. There was a one-panel clue in the first case that I overlooked until my third read of it, which I was somewhat impressed by.There's quite a bit of mystical and magical stuff going on, but it's never used in the execution of the crime. You might get a "he was possessed by an evil spirit" for WHY it happened, but there's not going to be a "He locked the door with magic" for HOW it happened, which makes it a good mix for me.I quite like the main characters, ranging from the mystery fanatic to overenthusiastic butler.Definitely would buy more if they were here. Both plot and characters are very interesting. I would have liked going on reading the story. It's a pity there aren't more volumes so far in Renta. I would definitely buy the complete series of seven volumes if they were here. Worth reading!. Five stars!